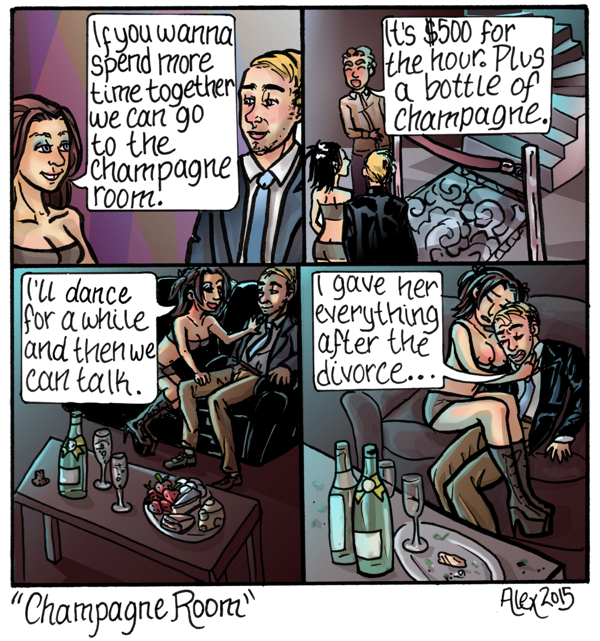 “Champagne Room” ended up being a lot more complicated than I initially realized. The tiny figures came out really disproportionate and messed up looking and the lettering was running together. I used a lot of white out. Then I burned through over 200 layers coloring (with Krtia). Lately I made some color pallets in advance of starting to color the picture. I tend to pick colors at random based on intuition as I go with mixed results. Maybe you can tell I used a pallet in the last few comics? This entry was tagged comics update, krita, process. Bookmark the permalink.